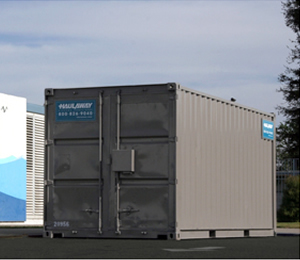 When you need a shipping container rental in Seattle WA, Haulaway Storage is your perfect solution! With various sizes to meet your needs, our storage container options are just what you need for on-site storage. Whether you’re renovating your home or business, on-site storage offers secure storage for all your belongings without the need to rent trucks or a public storage unit avoiding a lot of hassle! Our portable storage solutions are perfect for construction, corporate or personal projects. Temporary storage could have you moving boxes and belongings from one place to another during your renovations – often necessitating a moving truck, storage garage, time and money. With a shipping container rental from Haulaway Storage, you won’t have to drive all over Seattle WA to take care of your things! We’ll deliver a storage container to your requested location and you can fill it to your heart’s content. Since it stays on your property, you can easily access it when you need it. Our on-site shipping containers come in a variety of sizes, ranging from 10 feet to 40 feet, so no matter what you need to store, we’ve got you covered. Our storage units are water-resistant, come with our patented Rhino Locking System which can be locked and secured, protecting your equipment, tools, personal belongings and more. There’s no better way to protect your important items on-site than a shipping container rental from Haulaway Storage in Seattle WA. Contact us now for a quote and to learn more about how we can help you with your storage needs.